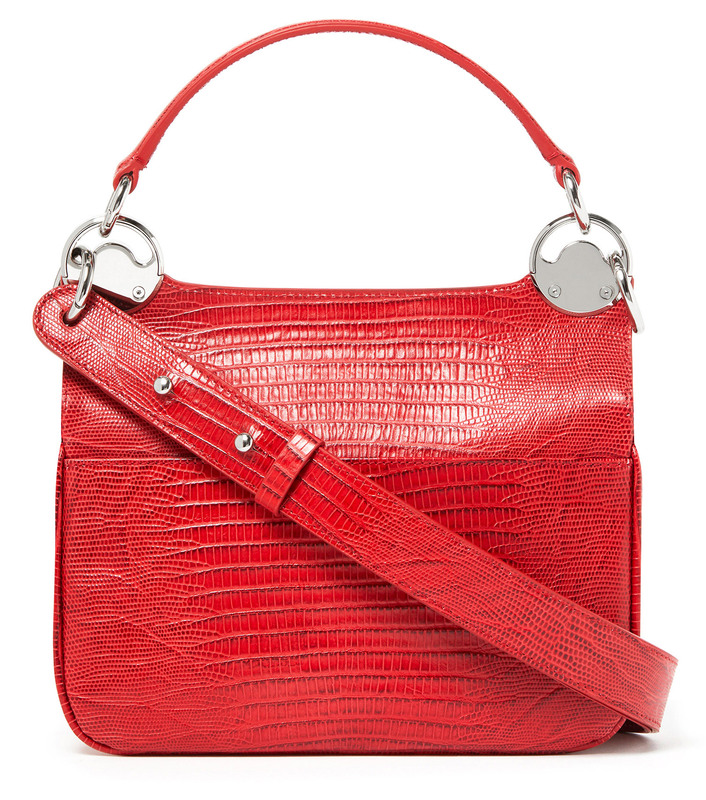 Matte natural grain leather, soft and delicate to the touch. 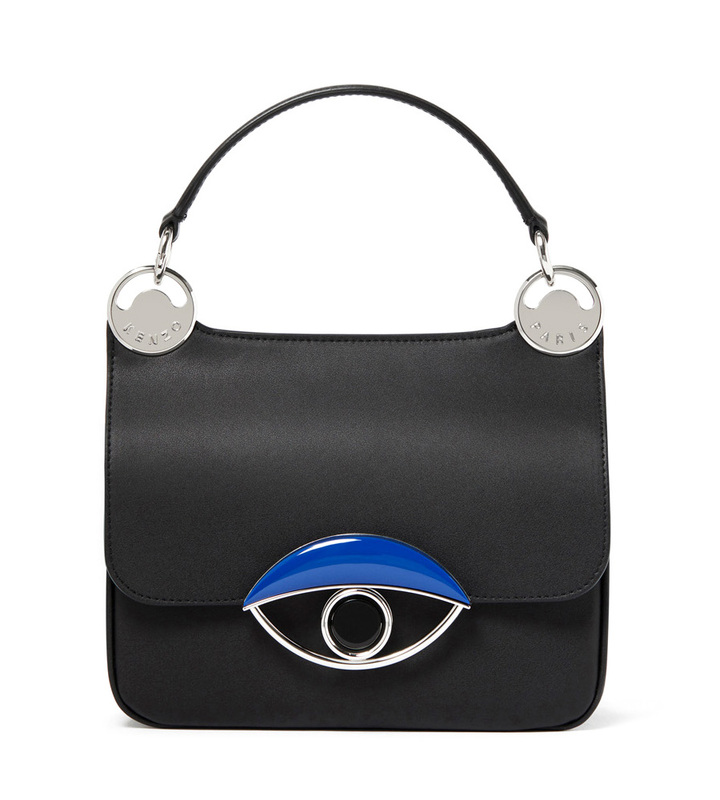 The TALI collection has been carefully crafted and features the iconic motif of the Eye, a universal symbol of luck. 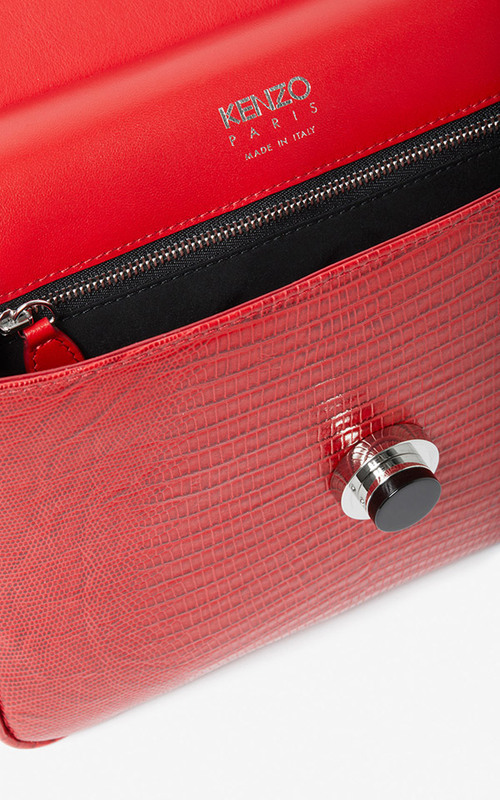 Premium leather finishes distinguish each TALI with its own textural flair, as KENZO explores new treatments from smooth calfskin in block colors and seasonal prints to embossed lizard and crocodile. 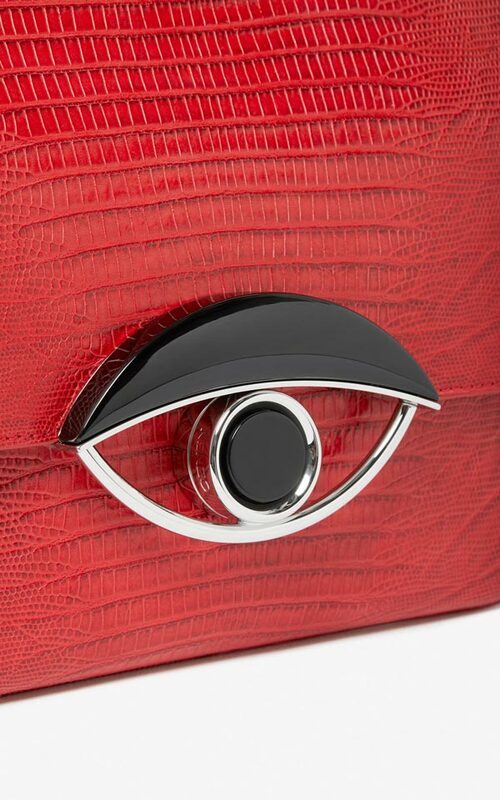 These rich treatments are complemented by custom hardware, starting from the innovative eye clasp finished in bright palladium. 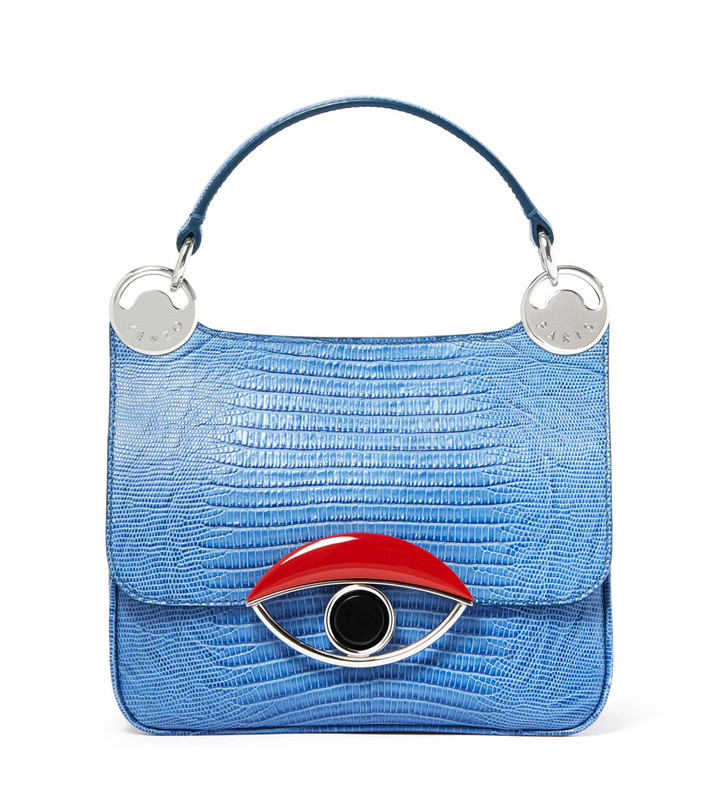 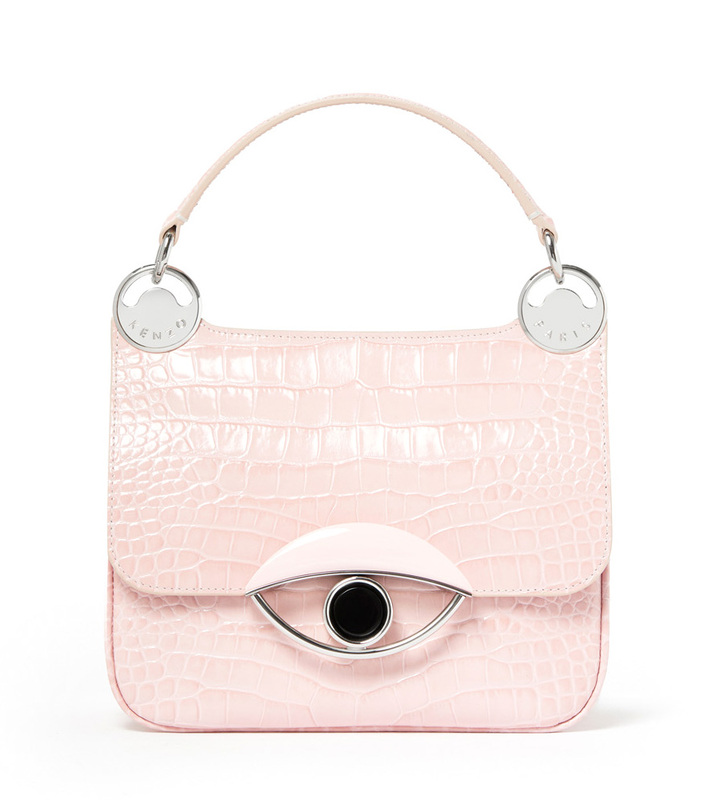 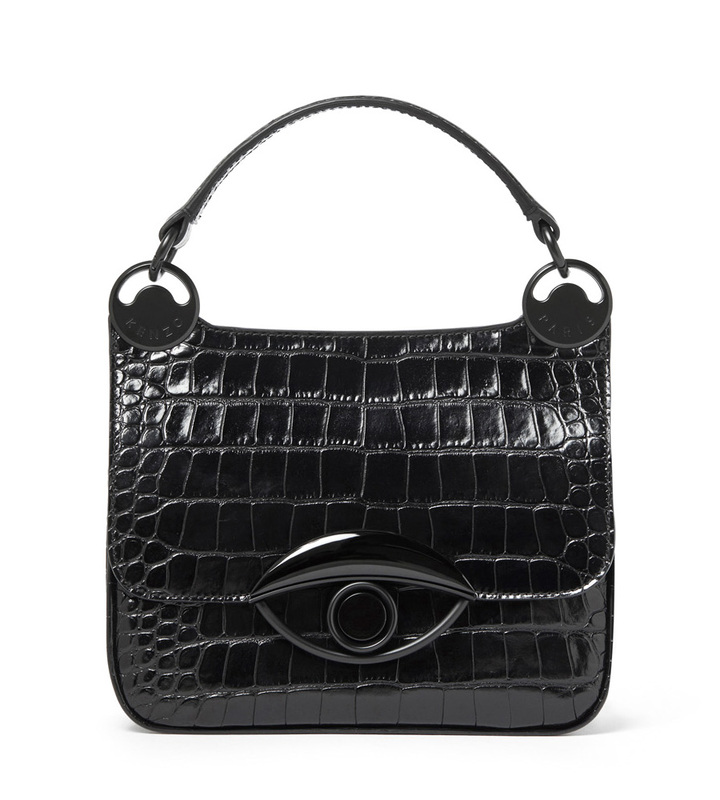 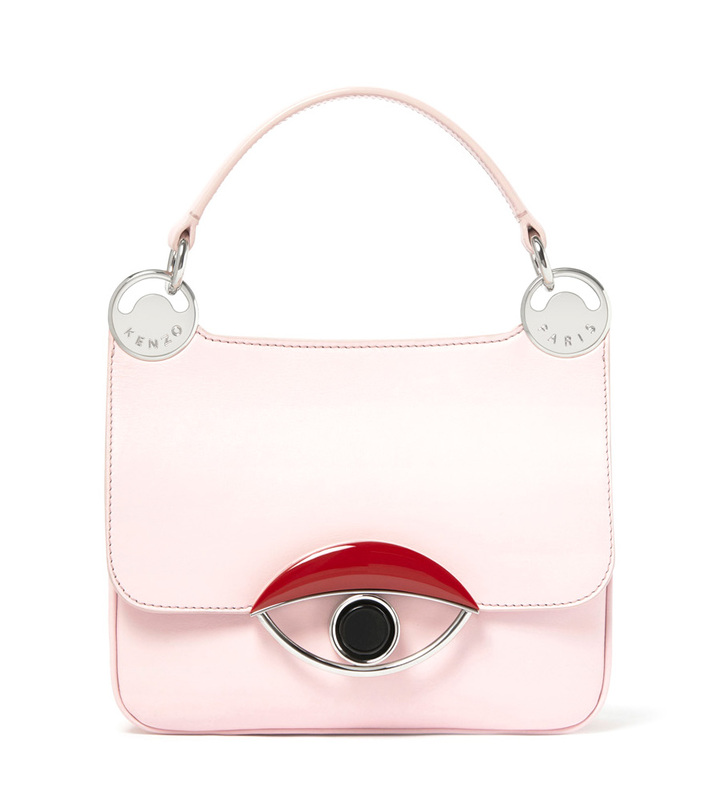 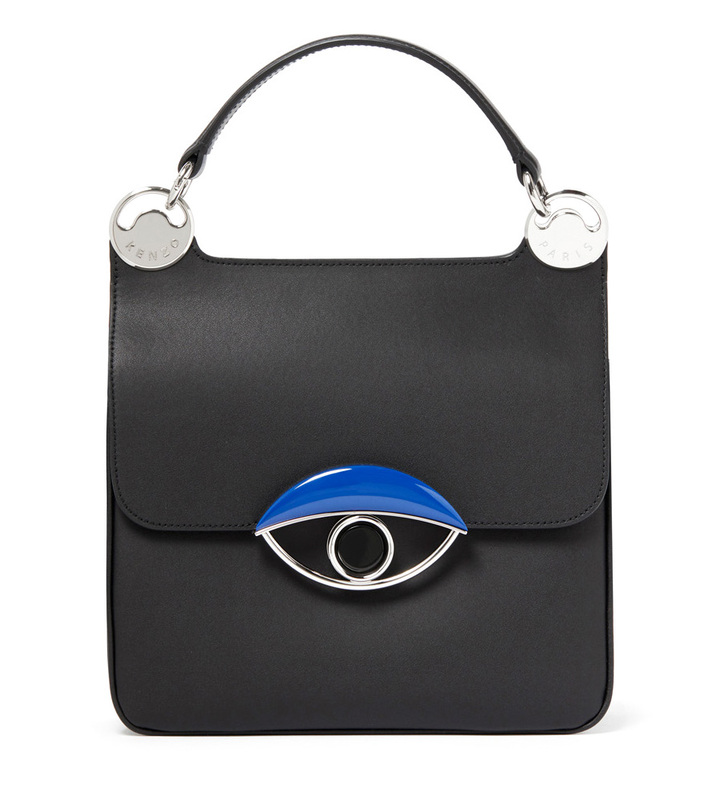 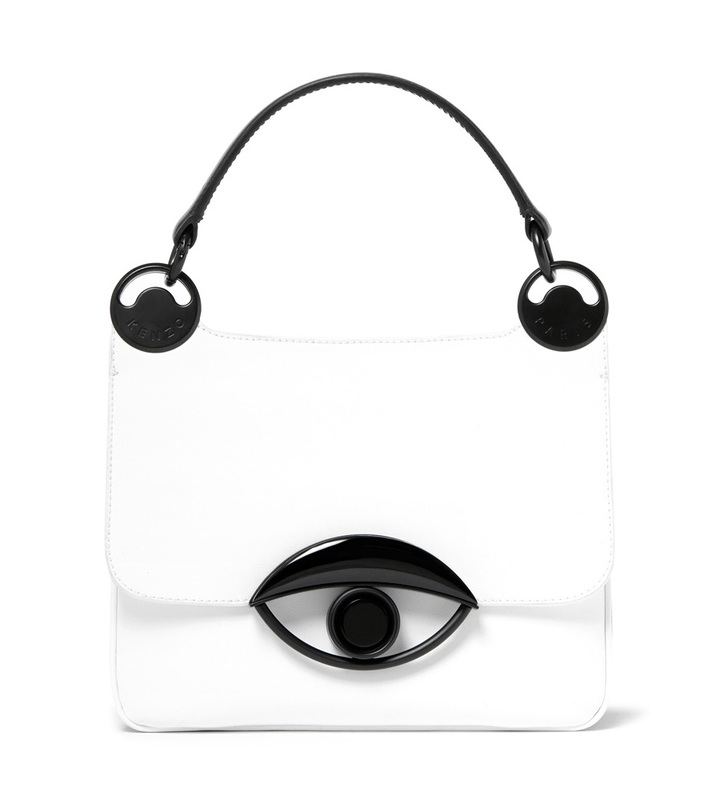 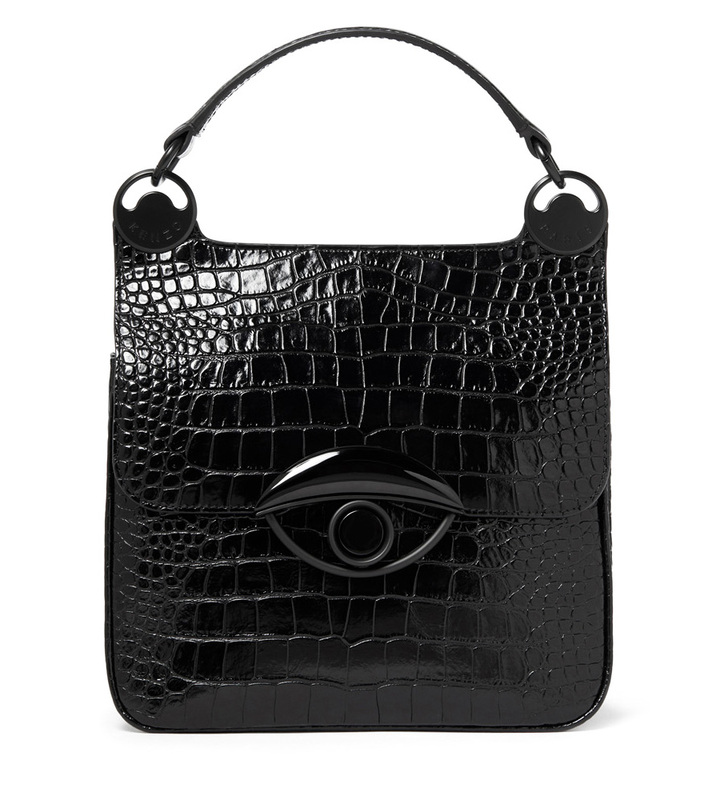 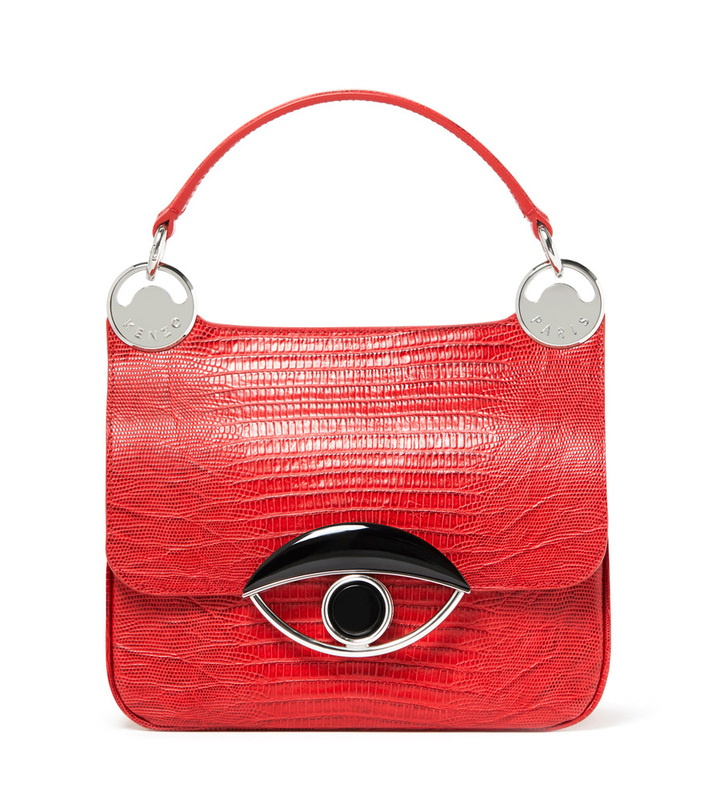 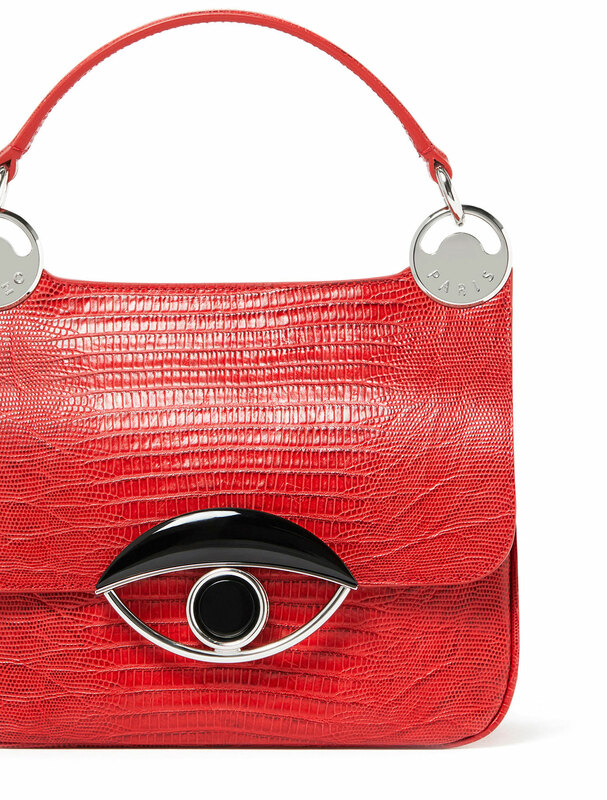 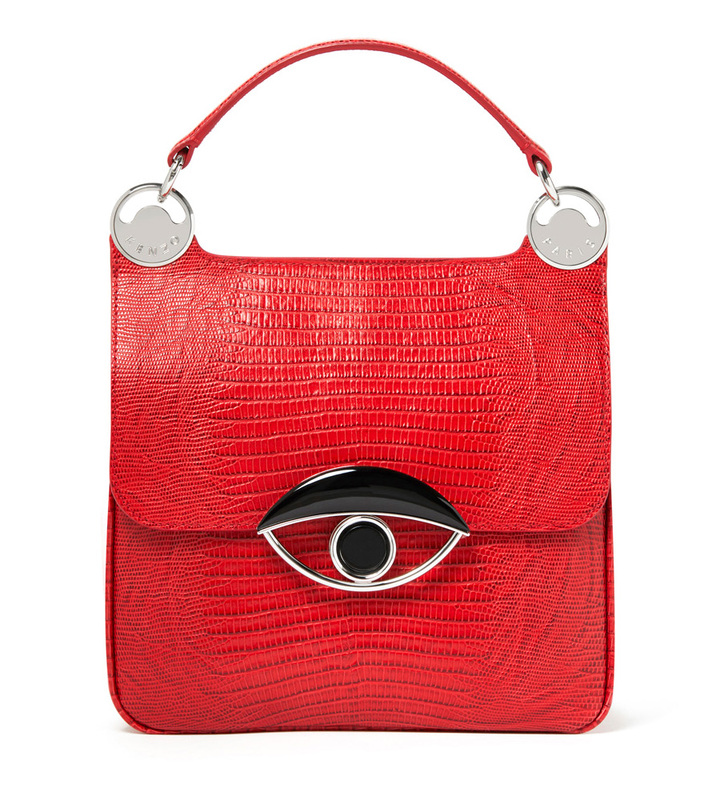 The eye clasp opens with a single touch of a black convex button, its 3D structure accented by the raised eyelid embellishment in contrast resin.